Home?>?Shop by Product Type?>?Fabric flowers ?>? 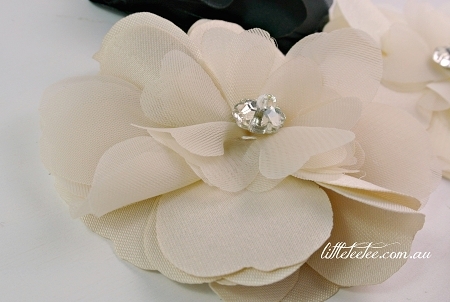 Organza & satin flower. x1. 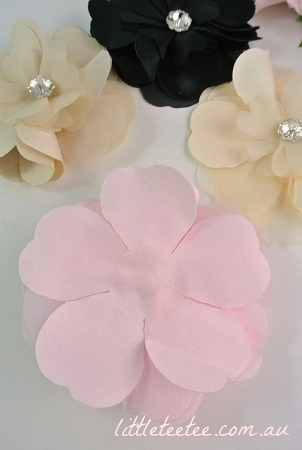 This pretty bloom features two sizes of petals made of shiny satin & sheer organza. Simply breath-taking! Each layer has been glued in place with the centre beads sewn securely in place. The edges have been heat treated to minimise fraying. 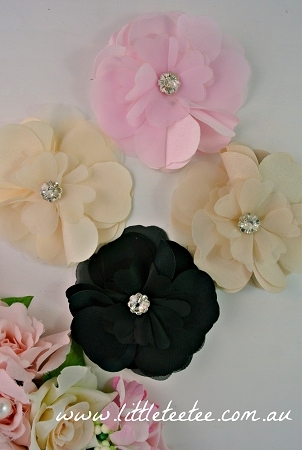 Perfect for headbands, brooches & clothing. Best hand washed. They are flat-backed, ready to be sewn or glued onto your desired product. Colours: as per menu selection. Discount: Applies to same colour purchases only. Postage/handling is added at checkout. Registered post is extra if requested at checkout.